Sister Lucia (Fatima visionary) told Cardinal Caffarra that the “Final Confrontation between the Lord and Satan will be over Family and Marriage" (https://aleteia.org/2017/01/17/fatima-visionary-to-cardinal-final-battle-between-god-and-satan-will-be-over-marriage-and-family/). In our time this battle is waging. Of particularly importance is the exhortation Amoris Laetitia which seems to undermine traditional Catholic teaching on the indissoluability of marriage. However, most Catholics seem unconcerned about the confusion over moral teaching that this document is causing, and the reasons why - such as the revisionist theologians espousal of proportionalism that suggests men and women can weigh up and define for themselves what they consider as good or evil. Some key areas of confusion, or doubts, arising from Amoris Laetitia are: whether adultery is still a prohibition in accordance with the 10 Commandments, whether pastoral discernment functions to annul marriages, and whether individuals living in objective situations of grave sin can ameoleorate their culpability by referring to the internal forum (i.e., one's subjective conscience trumps any accountability for sin)? For those who are not prepared to give witness to the true faith, Bishop Schneider issues a warning. November 27, 2017 (LifeSiteNews) -- One of the world’s most outspoken bishops regarding the current crisis in the Church has said that at the final judgment God will ask Catholics living today who ignored the crisis why they did not ask the Pope to end the confusion in the Church. He called the concerns and calls for clarity, “an act of charity towards the Pope.” He added that he was convinced that when the Pope faces his judgment before God, “he will be thankful to those” cardinals, bishops and lay people who called on him to offer clarity. 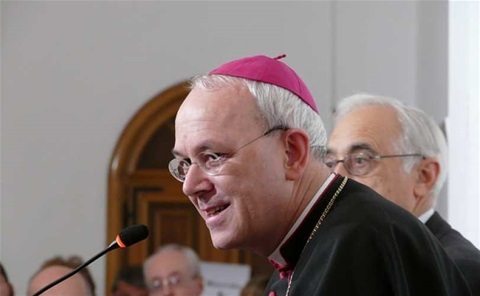 Archbishop Schneider said that those who perform “adulation of the Pope” and “deny the evidence” that ambiguity in the Pope’s teachings is causing confusion are not helping the Pope nor themselves when they will face their final judgment. Bishop Schneider sees the Church as a “big family of God” and that within the family we have to have the opportunity to speak “without fear of being punished or isolated.” He noted that this “spirit of family” was “stressed that the second Vatican council” and that a “climate of family” should be fostered in the Church.